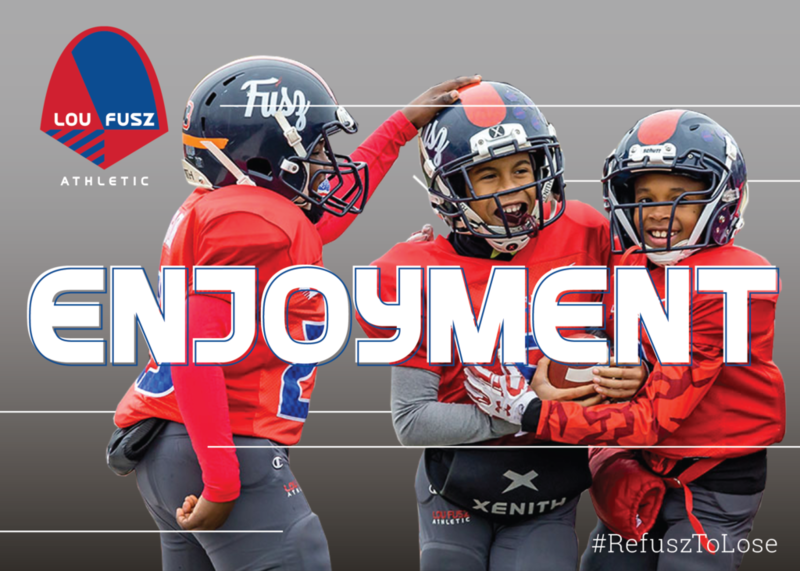 Lou Fusz Football exists to provide a fun, competitive environment for young athletes to play football. The development of a well-rounded football player is the goal of Lou Fusz Athletic. Through quality coaching, numerous development opportunities, and a focus on integrity and character, we aim to create teams that compete at the highest possible levels. — Hard Work and dedication during practice and game time creates improvement in sports. When you put forth the effort, sooner or later the results will show. — Enjoyment through a fun and proper atmosphere develops a passion for the sport, making it fun to play and watch. — Excellence is the result of always striving to do better and playing your best. Excellence from both teams on the field deserve applause. — Progress is made on and off the field with all of the above and forward thinking. We do not believe there will be a time when we have reached our peak and stopped moving forward. Lou Fusz Athletic is proud to provide this football opportunity to hundreds of young athletes each year. Positive parental support is expected. The football playing experience is designed by Lou Fusz Football but is ensured by players, coaches, and parents/fans. It is important to the club that each player enjoys playing the game every time he or she steps on a field. Make this a positive environment and experience for all of the athletes. How will you handle the next play?